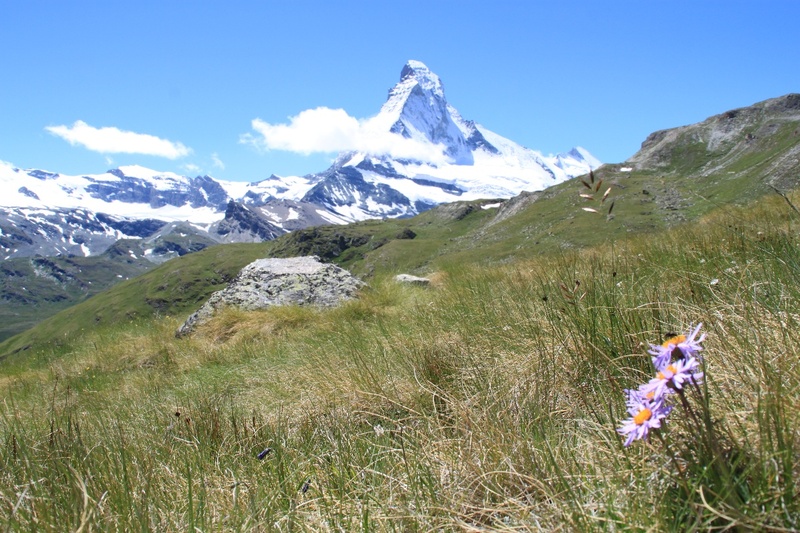 The edelweiss can be admired at a variety of habitats in the Zermatt mountains. It won’t grow on ground formed of crystalline rock, but it flourishes on calcareous sediments – despite the often harsh conditions. The fleecy hairs help protect the flowers from solar radiation, frost and aridity. The seeds require exposure to frost before they can germinate the following year. 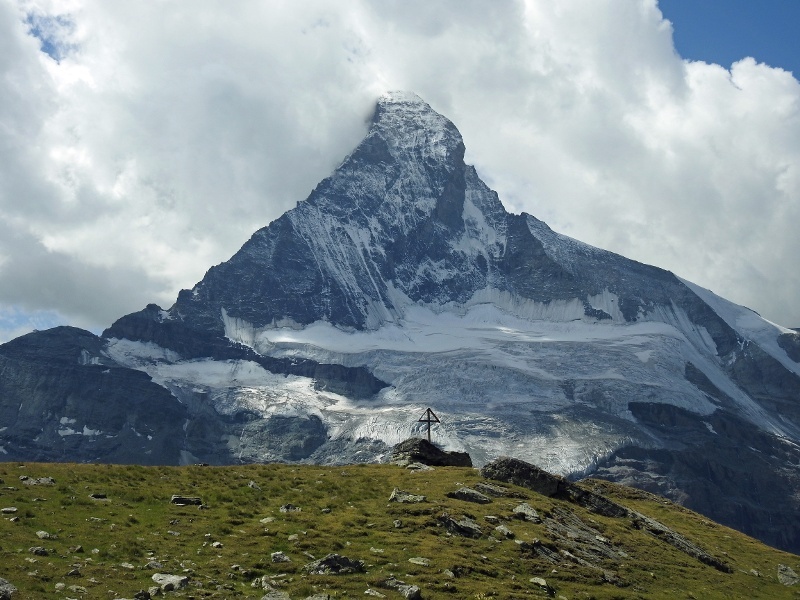 Hikers on this trail experience a magical moment on the climb up to Trift as the pinnacle of the Matterhorn emerges unexpectedly from behind a hilltop. Who’ll spot it first? 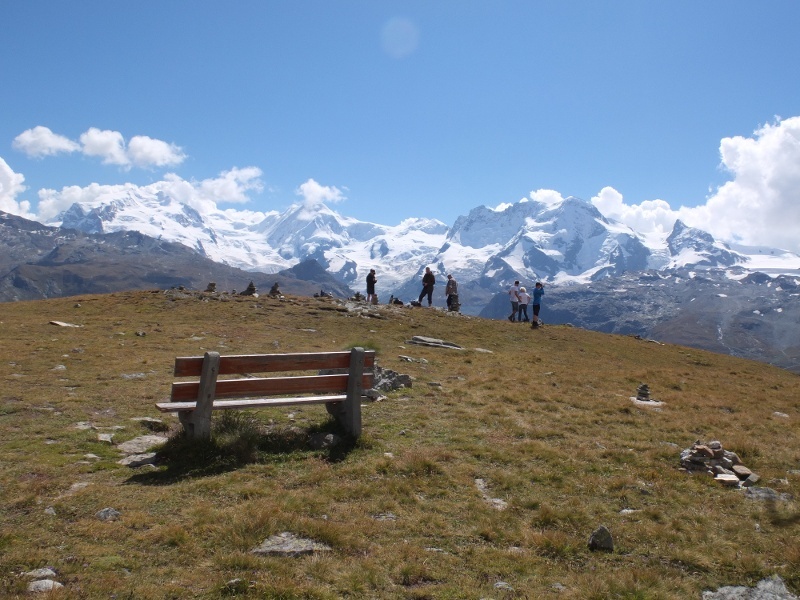 The path then continues to one of Zermatt’s finest viewpoints, at Höhbalmen. 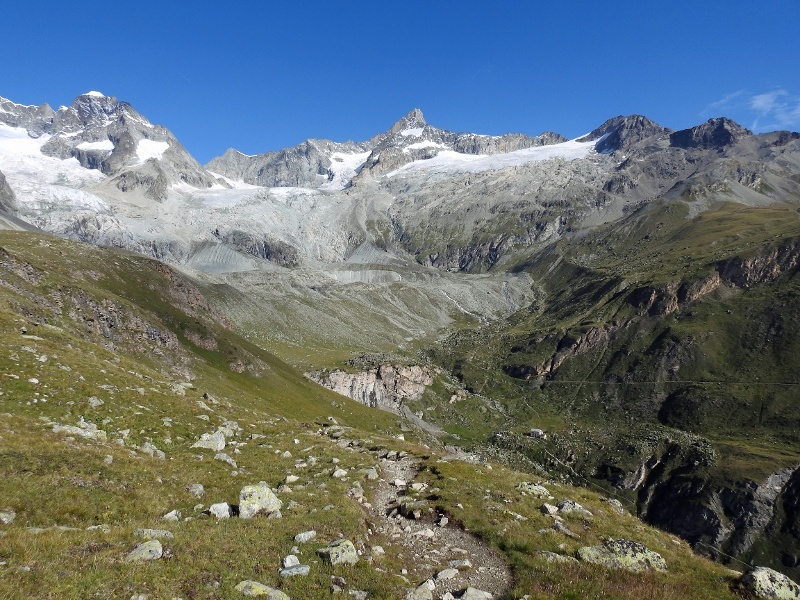 The panorama is breathtaking: the north face of the Matterhorn with the Zmuttgrat ridge, the Breithorn, Liskamm and the Monte Rosa massif. 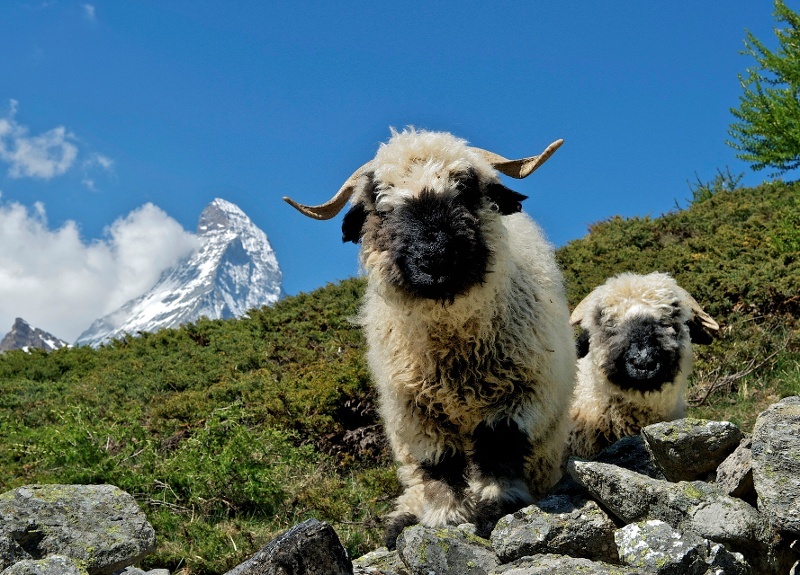 Please do not feed the Valais Blackneck goats or the Valais Blacknose sheep. At Höhbalmen and on towards Hohliecht: keep an eye open for eagles, which occasionally circle in the skies above.